In order to develop the true reliability you are seeking with your dog’s obedience, it’s essential that we incrementally improve in three areas. These three areas are known as the Three D’s of Dog Training: Distance, Duration, and Distractions. While focusing on these areas, you must also keep in mind the Rule of Three, which we will cover in a minute. To recap the 3 D’s: Distance refers to how far you can get from your dog while they stay in command. 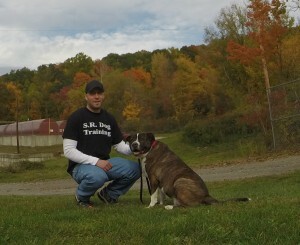 Duration is the “Stay” or length of time your dog can remain in a command until they are released. Distractions are obviously what is going on around your dog while they perform the command. 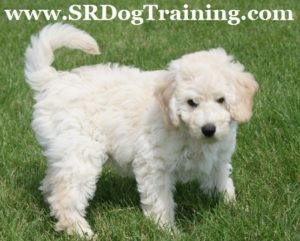 These are integral to in order to Teach Your Dog to Stay. We live in a very instant gratification society. We have text messages, drive thru restaurants, microwaves, etc. I am guilty of wanting quick results like anyone else. However, we must not forget that our dog’s genetics and DNA have not progressed as quickly as our modern technological innovations. What I mean by this is, you need to systematically progress, allowing your dog to build on small habits of success, until we reach our desired end result. This is where the Rule of Three comes in. While trying to progress and develop the Three D’s (distance, duration & distractions), it’s inevitable that we will see our dog “mess up”. This can be in the form of simply not listening when we say “Come”, prematurely getting up from a “Stay”, etc. Occasional mistakes are part of the learning process. What we don’t want to see is perpetual mistakes, as that will set the wrong precedent. You do not want your dog to get in the habit of making incorrect choices and patterning this. Rather, you want to develop habits of success for both you and your dog. That’s why your need to adhere to the Rule of Three, which states that if a dog “messes up” or fails at a specific criteria, it’s not the dog’s fault, but rather it is a clear indication that we are expecting too much at this moment. -Asking your dog to remain in a “Sit” while you walk 15 feet away and they get up 3 times in a row. Take a step back (both literally and figuratively). Reduce your criteria to a 10 or 12 foot distance. Once the dog is successful at that, then consider progressing to 15 feet. -Expecting your dog to perform a 5 minute “Down”, but they break the command three times in a row, after only 2 or so minutes. That is not your dog’s fault, we may be rushing the learning process and need to reduce our standards for that training session. -Wanting you dog to perform an off-leash recall (“Come” command) when 50 feet away, but they ignore you 3 times in a row. Let’s not continue repeating this failure. Instead, make some adjustments in order to help your dog succeed, and then you can progress to the higher standard. In summary, make sure to strategically improve on your dog’s obedience when it comes to distance, duration and distractions. While doing this, make sure to adhere to the Rule of Three, in order to reduce stress and improve success for both you and your dog.